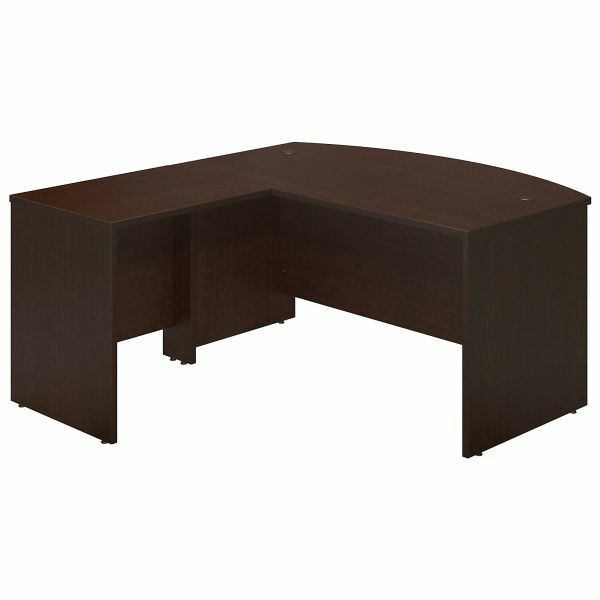 Bush Business Furniture Series C Elite 60W x 36D Bow Front L Shaped Desk with 30W Return - Give your workspace the professional style you've always wanted with the Series C Elite 60W x 36D Bow Front Desk Shell with a 30W Return in Mocha Cherry for an L shaped desk configuration. 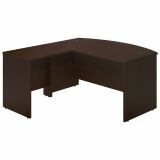 Features a classic desk shell design with an extended and inviting work surface area to meet with associates. 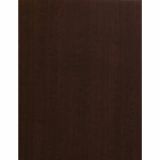 The thermally fused laminate surface construction and durable edge banding delivers strength and quality with a classic rich finish for long lasting beauty. 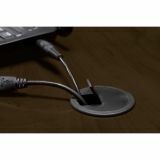 Enjoy integrated wire management grommets within desk surface to conceal cables and adjustable levelers for uneven floors. Series C Elite works well in any setting from a small private or home office to large collaborative corporate settings. Meets ANSI/BIFMA standards for safety and performance. 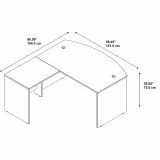 Backed by Bush Business Furniture's 10 Year Warranty. American made with U.S. and imported parts.